2.3 Does the box have a troll in it? Or maybe a troll? 47 We need the "Recent Changes" notice to be at the top of every page. 51 Recent change of the template that says "do not create this page"
59 Guitar riff from "Personal favorites"
60 No fan of zeugma? 64 Sticklyman = Poopsmith 20X6? 79 Where would we have it? 85 Duck Guardian and TROGDOR! Wii mirrors. I fixed the dates. For verdicts, we can either move the items to the talk pages (like we do now), or they could be moved to a different subpage, like HRWIKI:STUFF Archive/pagename, for example. If we use an archive subpage, we should put a reference link on the talk page with the fact in question and the verdict. The rest of this discussion has moved to HRWiki_talk:STUFF#Verdicts. Hey It's dot com, I just noticed that one of bottom 10's STUFF entries is not ever going to succeed due to the author's mistake. (The Knott's Berry Farm one) It is not true, and will not get a single acceptance vote. I just thought it might be best to close that one now and save everybody time. On that note, I have also noticed that you are the only one who ever closes STUFFed facts, and was wondering if you wanted a hand with that. I am willing to help you out if you want me to. P.S. I took care of that item like you suggested. HomeTron V20 was a player on an interactive game which Bub created. HomeTron apparently quit the wiki because his Fake Characters were getting deleted by Joshua (as per a different discussion). A couple of days later, a new user, Paranormal Idol joined the wiki. He then created two new accounts, Paranormal Idol2 and Paranormal Idol3, claiming that he lost the password to his original account. Paranormal Idol3 then joined the same interactive game. After playing it for a while and then dying (in the game), he left the wiki. A few minutes after this, Ytmnd Boy signed up and requested to be in Bub's interactive game using the same character as HomeTron V20. All of these users share the same style of grammar, spelling and the way they transcribe. Do all edits done by anonymous users need to be reverted? I've encountered a few that are correct or beneficial. Conversely, if a registered user makes a questionable edit (say, for example, adding a goof or remark that is open to debate), what would I do? I've reverted a couple, and I need to make sure this is within the rules. If a logged in user makes a bad edit, it can be reverted just like an anonymous edit. Logged-in users get a little special treatment, however. First of all, it's polite to list a reason in the edit summary instead of simply rolling back the page. Second, if an edit is borderline, strongly consider starting a discussion on the relevant talk page instead of simply removing another user's work. That's an excellent way to put it, Tom (I've always assumed your name is Tom... your user page has never said anything other than "Hello world!"). I'll probably steal your rule of thumb and not give you credit, just so you know. ;) To it I would add one thing: if you ever have legitimate doubt about whether an anonymous edit is good or bad, take the action that leads to more content. That is, if someone adds something but you're not sure, then just leave it. But if an anonny deletes something (especially something big) that you think has merit, put it back. 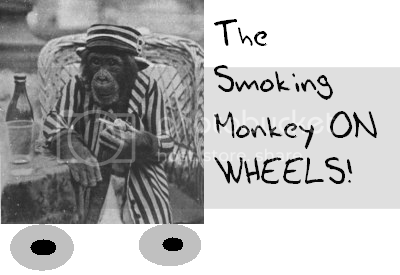 It's dot com, it's your friendly neighborhood Smoking Monkey again. I just wanted to comment on the Free Country, USA thing earlier today, because I've made you my unofficial HRWiki mentor and seek your advice from time to time on Wiki matters. In any case, what caught my attention was an anonymous user dumped, say, 50% more info on the Free Country article. I've noticed over the weeks that 90% of anonymous edits tend to be speculation, stating the obvious, or just plain wrong. Let's say the other 9% are helpful typo, spelling and grammar corrections. It's that 1% that leads to doubt. This guy/gal radically expanded a decent article, but I couldn't tel whether the expansion was worthy or not. I know I was previously advised to err on the side of expanded content, but I've seen even registered users get slammed for adding little bits of info to articles. This guy/gal added a lot, and when I first saw it, I balked. It seemed like speculation, so I reverted. Then Mr. Bojangles re-reverted. I looked at it a second time - this time I saw disconnected thoughts that added only confusion - so I reverted again. Then you reverted my change, and I looked at it a third time. This time, I saw neither speculation nor confused thinking - only prose that needed refining. I admit I've been in a bad mood recently, and have been, er, draconian in my enforcement of what I perceive is appropriate for the Wiki. I admit I was wrong reverting this article across the board. Your characterization of anonymous edits is probably dead-on accurate (except when pages are first being created, which isn't that often, relatively speaking). If someone has something important to add, they usually take the step of registering first. Most of my edits were relatively minor until I registered. In fact, it was when I was trying to add something more substantial that I was encouraged to join. I appreciate that you consider me something of a mentor, and I take seriously my responsibility to you and others I help. I carefully consider any advice I give, and it is always my hope that each user's experience here is improved by my input. This can't always be the case when someone disagrees with me, but in cases like that I try to be as diplomatic as possible. As far as anonymous users go, I try to incorporate any part of their contributions that I can—anything—so that they will feel important and be comfortable enough to finally become full contributing members. In this specific case, you may notice that I didn't do a straight revert, but rather cleaned it up a bit before adding it back. I see you're taking your critical, incisive eye to my runway pet project (Free Country, USA)- and it's about time. Of all the times I've proof-read, and internally debated the structure and the "facts" of the article, I knew that others would need to parse and improve on my own thoughts. And, speaking of my own thoughts, all I have to thank for my (irrational?) devotion to this article is some anonymous British kid I tried to censor. In any case, I think most of it holds up well. Hmmm...since it was my first WOW-battling incident, I was bit hot afterwards, especially when he came out and said "sorry" and then "if you try to block me, I'll just do it again." It all seemed typically sophmoric to me - clearly he was having fun moving the same four pages over and over and over again, but then he lost interest and indicated he wanted to contribute. Essentially, he was malicious, but only so long as it saved him from being bored. Your point is well-taken, though: if we can't actually block him because of the AOL loop-hole, then I guess it shouldn't be a problem if he continues behaving like a normal user. I'm not big on holding grudges, and if Venusy and bkmlb (the other two users caught up in the battle against him) don't have a problem with him staying on, then I don't have a problem. EDIT: I shouldn't have used MS Paint to do this in 5 minutes. Becoming an admin, as they're also called, is a good goal to have, but it doesn't happen overnight. Basically, you start out at the bottom of the totem pole, and work your way up. Over time, people will begin to notice your edits; you'll want to make good ones. If you do, gradually a sense of trust will develop between you and the wiki community. In the meantime, fight trolls, add good fun facts, monitor pages for bad edits, help out with the maintenance of the site, learn the ins and outs of the software. Undertake a worthwhile project (but ... it's best to get approval before doing so). Then, sometime in the future, the current admins will open the floor for nominations for new sysops, at which time another user can throw your name in the ring. Then, we'll all vote on you. They probably won't nominate new admins for a while, and when they do, maybe you'll be nominated, maybe not. Either way, keep on keepin' on making good edits and building up that trust. It's just that simple! Alright, I have to ask. As my first bold attempt at helping keep the peace in this particular Wiki, I remove a Wikipedia reference to pizza. Why is a link to such a common food necessary? Come back, chocolates! No harm per se, it was simply my motivation to prevent the building a precedent of Wiki-linking every common object, regardless of its history. But I digress. -Come back, chocolates! The issue is that I have decided that I have better things to do than to remain attached to the seedy underbelly that is the wiki disussion. I will continue to visit, as the site is really cool. I won't make contributions unless no one else can provide what I have to offer, or if there is a blatant error on a page. I may continue to play on the sound effects page. Other than that, I have nothing else to add. The amendment is acceptable. The beef was not with what was the better referene. My beef was that it kept getting moved and altered. And without comment. The whole event was a display in discourteousness (on both parts, mine especially). I don't do much of this, and I worked hard trying to get that right. I appreciate the re-consideration. If you edit one, all of your signatures change. If you edit the sig in your preferences, only future signatures change. I had a question, and I'm not sure where else to put it. Can you explain why you didn't you think my "Grizzly chomps" fun fact in the Candy Product was a good one? I may be biased, but I think it applies pretty well. TBC have been known to reference old and obscure pop-culture items in the past, and I can't think of any other "pre-bitten" candy product sold in stores. I'd like to think they had this product in mind when they made the toon. You can even Google for it and read up on it. Anyhow, I just wanted to know what my options were for debating this fact. Is this is something I could put in STUFF for debate? And if so, how? The "built-in bite" shape of SBLOUNSKCHED! may refer to Grizzly Chomps, a Hostess-brand treat introduced in 1992. The package included two chocolate cupcakes with a bite-mark shape cut out of them, and the package bore a cartoon bear saying, "I start 'em, you finish 'em." I removed it because the Grizzly Chomps are so old and obscure that any similarity to SBLOUNSKCHED is likely just a coincidence. None of the secondary details match, especially the reason for the bite. In the case of Grizzly Chomps, the bear helps you eat it for some reason, but Strong Bad calls the bite in his candy a security measure to deter others from eating it. I think that TBC independently thought it was funny to have a bite missing from the candy, and to suggest otherwise is too much speculation for my taste. I'm the guy that changed the Dangeresque character page to note that dangeresque's glasses somehow stay on his head despite his total lack of ears. You changed it back, saying "(that's true, but it's not really very notable)"
Homestar: "Though he lacks a visible pair of arms, he is still able to function as though he has them, being able to carry and throw things and even type proficiently. It's generally accepted that either he does have arms, but for reasons that are never explained, they are invisible, or that he has limited telekinetic powers. " Bubs: "His facial configuration is puzzling; in Pumpkin Carve-nival, he appears to have a safety pin stuck through his face above an internal ear." Marsipan: "Like Homestar, Marzipan has no visible arms, though she is able to interact with the world as though she did, being able to pick up and move objects, and even play a guitar. It is generally accepted that either her arms are invisible, or that she has limited telekinetic powers." Strong Bad:"He has boxing gloves for hands (that always have square window reflections on them, no matter where he is), and a lucha libre mask for a head [...] Strong Bad may also have a Homestar-like telekinesis"
In conclusion, sorry this comment was so long. I guess I'll check back on this page later to see if you offer a counter-argument. Thanks for reading! Hey there, It's dot com. Homsarroks here. I just wanted to drop by and say hey and that you're cool. P.S. Just out of curiosity, why did you revert my edits on the HR Wiki article on wikipedia? I tried to include the most important users on the wiki there (e.g. you, Tom, BazookaJoe, Some H*R Themed Username, etc.) and put accurate descriptions on what you did there. I'm not mad or anything, just a bit confused. Get back to me when you can. P.P.S. I left this message on your account on Wikipedia first, but I decided to put it on both your accounts so that you might get it sooner. I noticed that the QotW page lacks the sound file for the "Wicked Guitar Solo". I have a copy of that file lurking here, though the file upload page seems to want images, so I figured I'd better not chance it. Any suggestions? You don't understand t5hat article, do you!!!!!!!!! It has all the features it should have!!!!! Very Angry, Sam the Man P.S. Your off my cool peeps list. Hey It's dot com. I was wondering, why did you make a subpage that is almost identicle to replacement? And is there any specific reason you chose that email? I'm not telling you to delete it though. I'm just curious. And by the way, I hope what I put in the Sandbox the other day didn't affend you or anything. I just wanted to make up funny ideas for reasons someone would block someone else, and you're like the most important sysop here to me. I R F suggested that I talk to a sysop if I want to get together a Birthday card for Missy. Since sysops only have access to TBC's mailing address, I figured I'd talk to you if I wanted to get involved. I just feel like I'm dead weight on the site right now, and really want to do something. For more on this subject, see HRWiki:Da Basement#Birthday cards for TBC et al. This page was last modified on 25 August 2017, at 03:47.